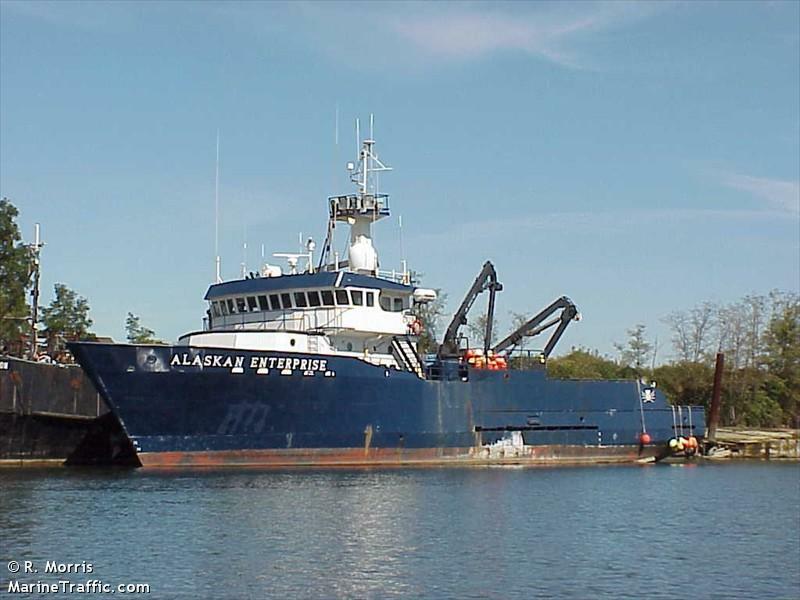 The 58 foot long fishing vessel Neptune 1 became disabled and went aground off Umnak Island, Alaska. The Neptune 1 had suffered engine failure and went adrift in 15 foot seas and 30 mph winds. The vessel sent out a distress call and the nearby fishing vessel Alaska Enterprise responded. The Enterprise relayed messages to the Coast Guard who dispatched a C-130 airplane and helicopter to the scene. The three crew on board put on their survival suits and were able to swim ashore. The helicopter arrived later and safely rescued the men. The three crewmen arrived safely at Unalaska. The Neptune 1 sits on the beach on the northwest side of the island. No reports of injuries. No reports of pollution being released, but there is diesel fuel still on board the vessel. 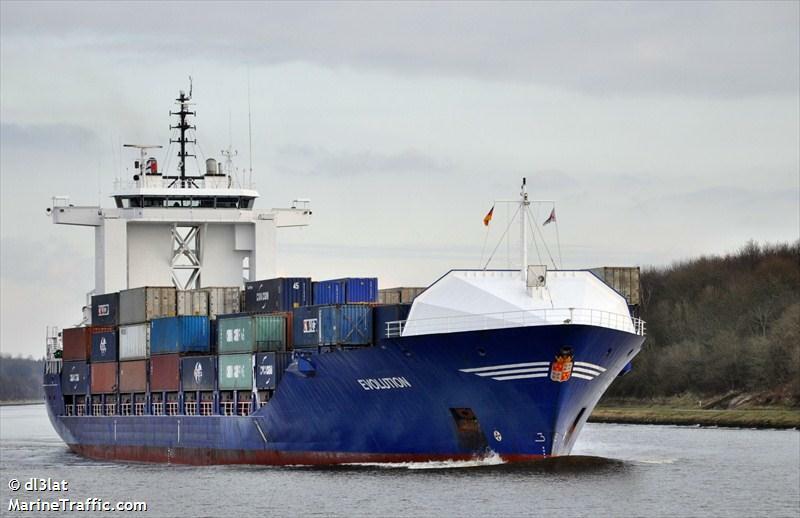 The 146 meter long, 13248 dwt container ship Evolution went aground in the Kiel Canal near Schact-Audorf, Germany. The Evolution suffered engine failure and lost steering and veering into some pilings. Two tugs were able to refloat the container ship a few hours later. The Evolution proceeded to Kiel to be surveyed. The water police conducted an investigation into the incident. The Evolution was en route to St. Petersburg from Rotterdam. The 188 meter long, 6966 dwt cruise ship Costa Allegra became disabled in the Indian Ocean between Madagascar and the Seychelles. The vessel had suffered a fire in the ship’s generators. The crew was able to contain and extinguish the fire a few hours later. No reports of injuries. The damage was limited to the engine room with the vessel motors damaged. The vessel sent out a distress call and requested two tugs from the Seychelles. The ship’s communications were reported as still functioning. Italian authorities have asked three commercial vessels and two fishing vessels to assist and were heading to the scene. 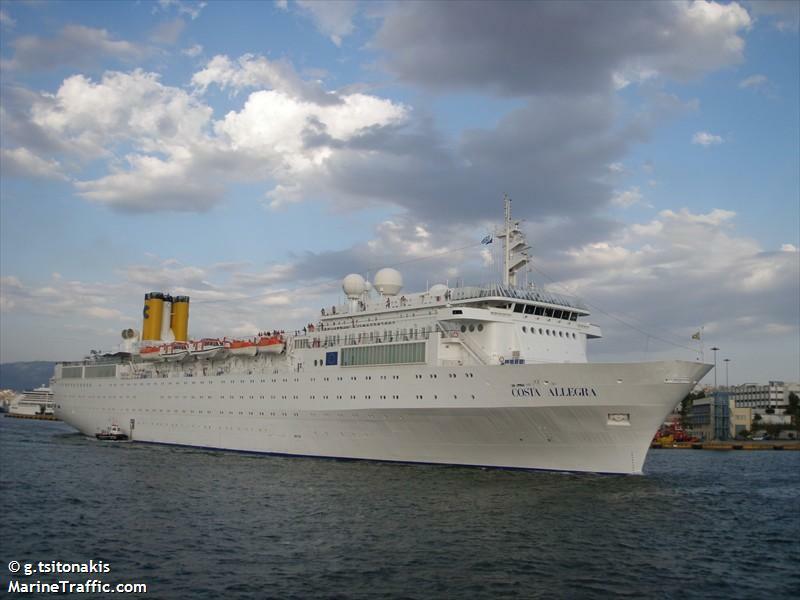 The Costa Allegra was en route to Mahe, Seychelles from Diego Suarez with 627 passengers and 413 crew on board. The Costa Allegra is the oldest vessel in the Carnival fleet. 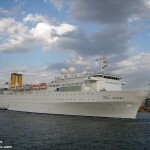 Built in 1969, the vessel has 410 cabins allowing up to 1,000 passengers. The vessel was refitted in 2006. Its sister vessel, the Costa Concordia, went aground six weeks ago with 30 lives lost. 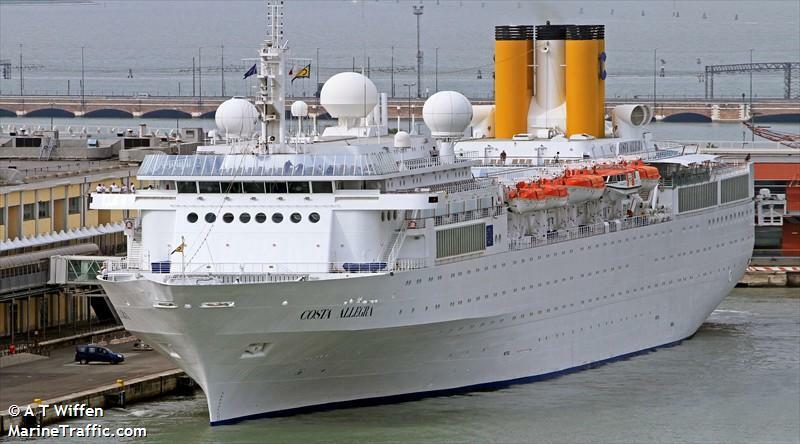 Reports state the passenger bookings on Costa vessels were down 35 percent. 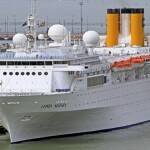 Read more about the Costa troubles at cruisemates.com.